How many of you think about the die's potential before buying a die??? So if you are like me then I hope this post helps you to look at your dies in a different way and get more uses out of them. How many of you think about the die's potential before buying a die??? So if you think in the same direction then I hope this post helps you to look at your dies in a different way and get more uses out of them. 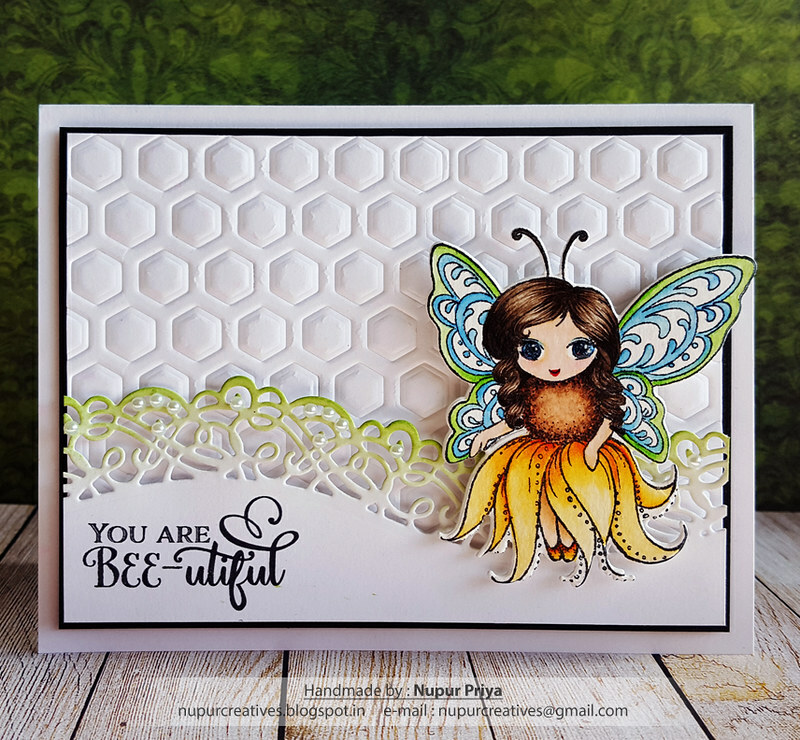 I just loved this Honey Bee Maiden and had to make a card with her in focus so I kept the card very simple. I loved watercoloring her using Gansai Tambi Watercolors. I also added drops of 3-D Crystal Lacquer to her eyes which is not very clear in this photograph but looks amazing in real life. Mowed Lawn Distress ink, Gansai Tambi Watercolors, Paint brushes, Spellbinders Tan Embossing Mat, Canson watercolor cardstock and pearls. 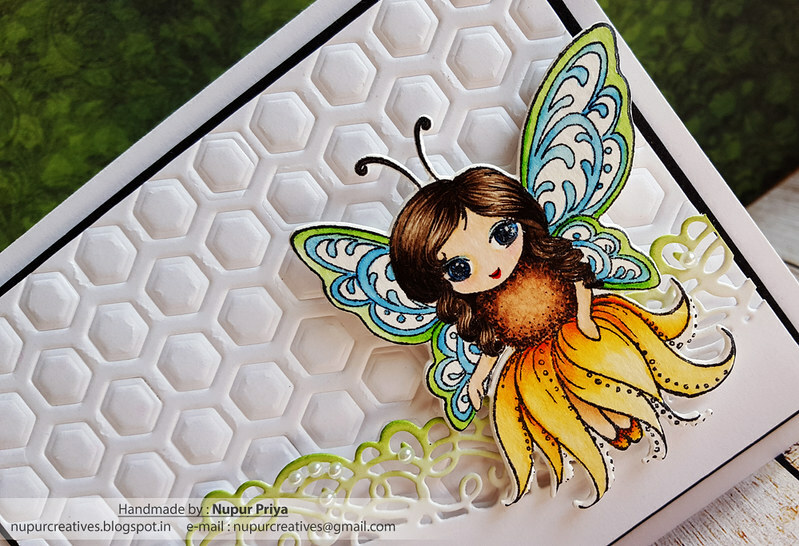 Use the die from Sweet as Honey Die along with Spellbinders Tan Embossing Mat to emboss 5" x 3 3/4" white cardstock. Adhere it on a slightly larger piece of black cardstock and adhere this down on a 4 1/4" x 5 1/2" white cardbase using Darice Adhesive Foam Strips. 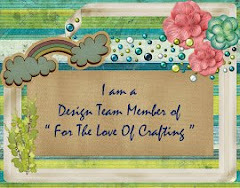 Die cut a piece of white cardstock using the die from Fleur Border Basics Die. Ink the top edge lightly using Stack and Store Daubers and Mowed Lawn Distress ink. 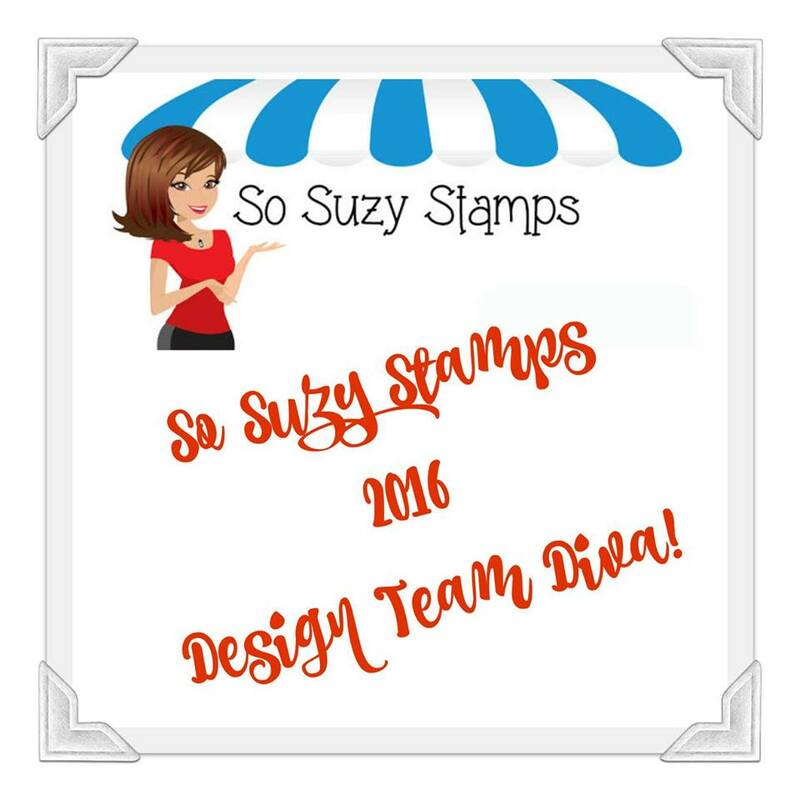 Stamp the sentiment from Sweet as Honey Cling Stamp Set on the left side of this die cut as shown using Jet Black Archival Ink . 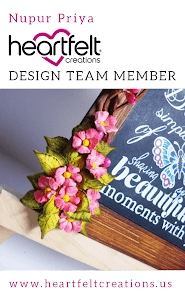 Trim it to 5" and adhere to the card front as shown using Darice Adhesive Foam Strips. 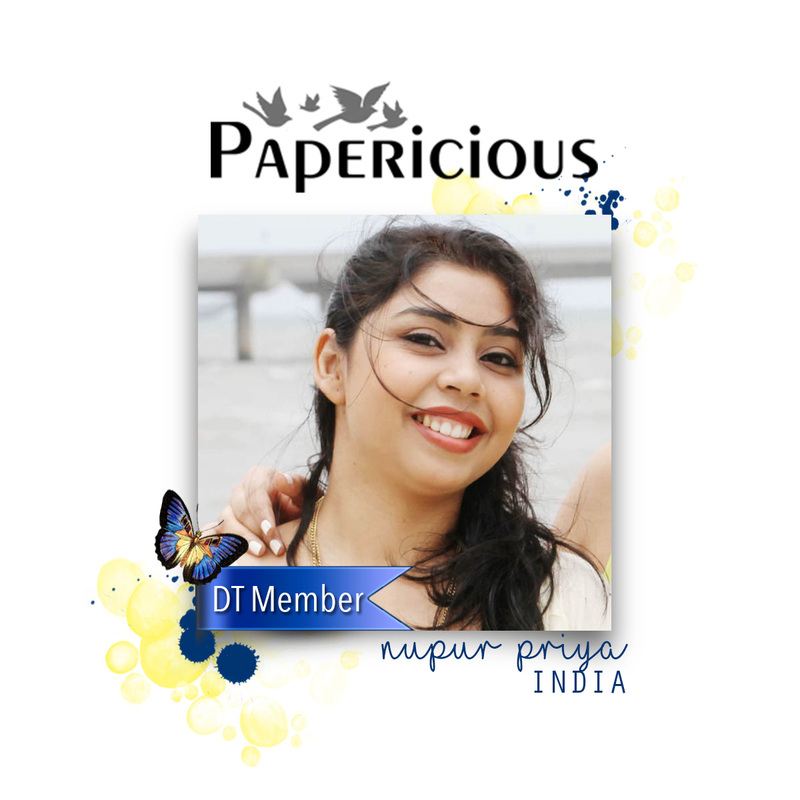 Wow...gorgeous card Nupur! 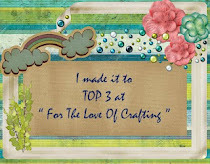 I love how you used the die to emboss your background and your coloring is amazing! Gorgeous! So creative as well!